I really enjoyed doing my previous Make Up Blog Tutorial so I decided to do another one. 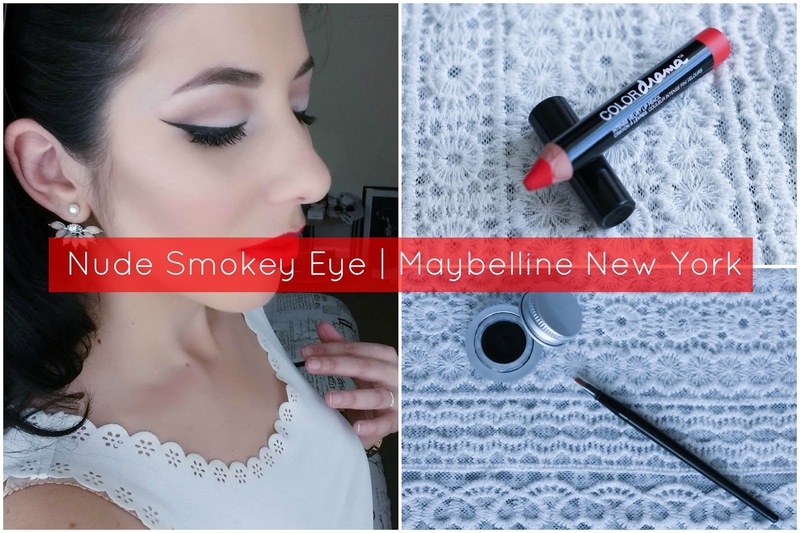 A very similar look – smokey eye – but with some different shades. With a not very intense cut crease (I think haha) and I loved how it turned out. 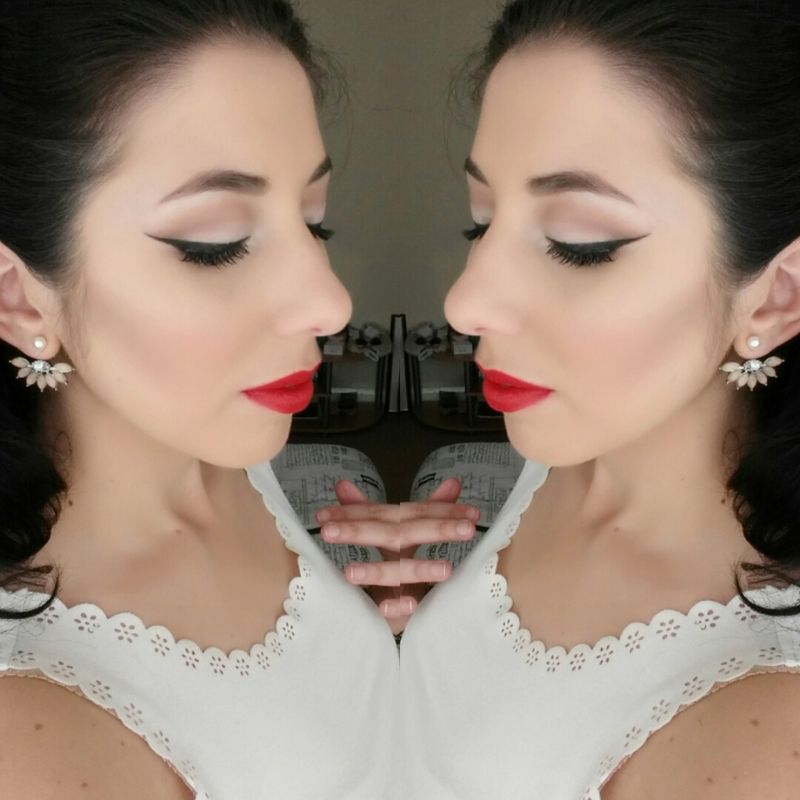 I did this look using again all drugstore products, including two of my recent purchases from Maybelline New York that I shared with you here. So this will be a very simple make up tutorial but also a review of the products. For this look, I used the one and only Iconic Pro 1. A beautiful palette with wonderful shades for either a day or evening look. Let’s start! ♦ First of all, and as usual, apply your favourite eye primer. This will keep the eye shadow in place making it last all day. ♦ Next, apply eye shadow No 1 all over your eyelid. Make sure you pack the color, this one is not very pigmented. ♦ After that, apply eye shadow No 2 on your crease as a transition shade. This is a beautiful light warm brown. Perfect. Then, darken that area with eye shadow No 3. Make sure you don’t apply it too much to cover the previous one. We want a degrade effect. ♦ Next step is to apply eye shadow No 3 into your crease, where the eye folds. You know were I’m talking about? Apply it with a small brush so you can get it right in the place that you want and after that blend it. I personally don’t like an intense cut crease so this is my option to that. ♦ With that done, do a winged eyeliner with your favourite black liner. Today, I was trying out the Maybelline Eyestudio Lasting Drama Gel Eyeliner 24H Intense Black and I loved it. So easy to apply, very smooth and the brush is quite nice. Easy to use. And this is me saying – the one who is pretty bad at doing a winged eyeliner. But I am improving! This is the blackest eyeliner I have and that I have tried. It lasted me all day without fading and it didn’t smudge. Loved it! ♦ Apply eye shadow No 5 on the inner corner of your eye and also brow bone to highlight. Finish with eye shadow No 4 & 5 on your waterline. Blend, blend, blend until it is perfect. If you need, go back to eye shadow No 1 to intensify the color on your lid. ♦ Time for a bit of black eyeliner to tight line and white eyeliner on your waterline to open up your eyes. Apply your favourite mascara and, if needed or if you are up to it, some false eyelashes! Got it? This it it. Very simple, quick and easy. For lips, I wore the Maybelline Color Drama Lipstick in Fab Orange and I must say that I fell in love with it straight away. So, so easy to apply. It is so smooth and moisturizing to your lips. And also it does last a long time. I went to Nando’s to have lunch and it only fade a little bit on the center of my lips so it just needed a quick touch up and that was it. If you are looking for a beautiful, bright, orange red for this spring/summer, I definitely advise you this one. I just want to buy the full collection! If you are not in the mood for a bright lipstick, you can definitely wear any other one with this look. And this is the finish look! The colors are a bit lighter that what they are in life but I think it must be because of the lighting. Still, I absolutely adore this look. I am obsessed. It was so quick to do it (and it will be even quicker when I master the winged eyeliner thing) that I will just do this look everyday for the next few weeks – until I find another one.